Bitpanda (formerly known as Coinimal) is a Bitcoin broker that specializes in buying and selling Bitcoins within the Eurozone. 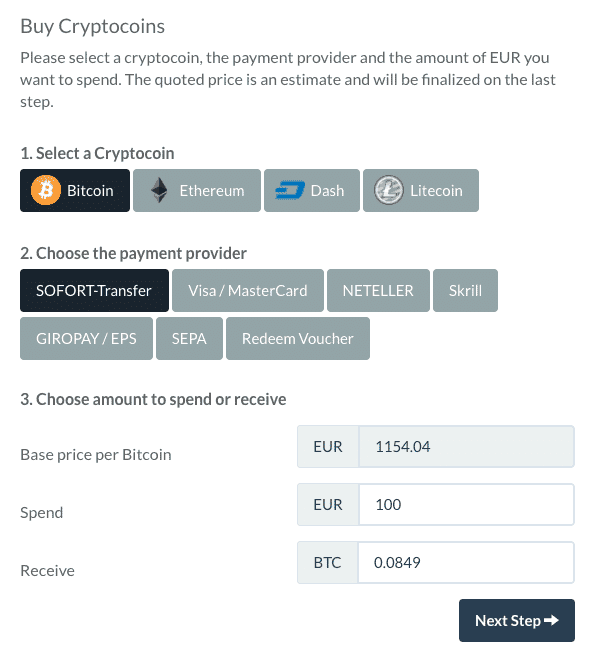 The company was founded in late 2014 and since has grown to become on of the more popular options to purchase Bitcoins around Europe. The user interface of BitPanda is pretty sleek and very intuitive. Even newbies will have an easy time navigating through it and buying Bitcoins. Other online reviews suggest BitPanda is doing a pretty good job with customer service as well. Finally, it seems that the company has won a startup award in late 2016 however I can’t really tell what this award was all about.